Traditional fleecy arm warmers can be too warm for all but the most bitterly cold conditions. What's really needed, for maximum comfort, is windproofing with a reasonable degree of insulation. 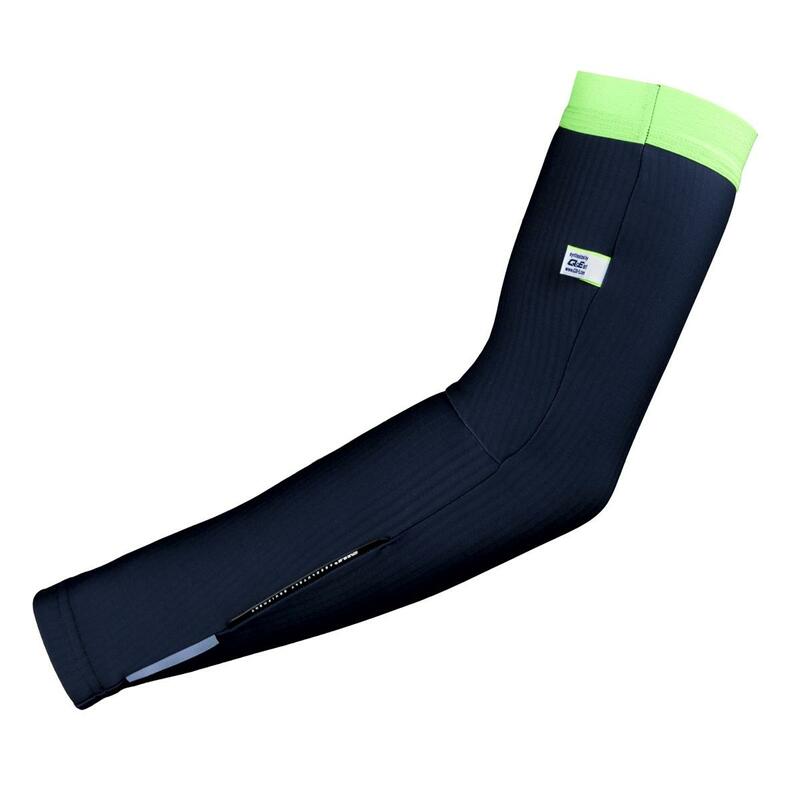 These pre-shaped arm warmers fit the bill. 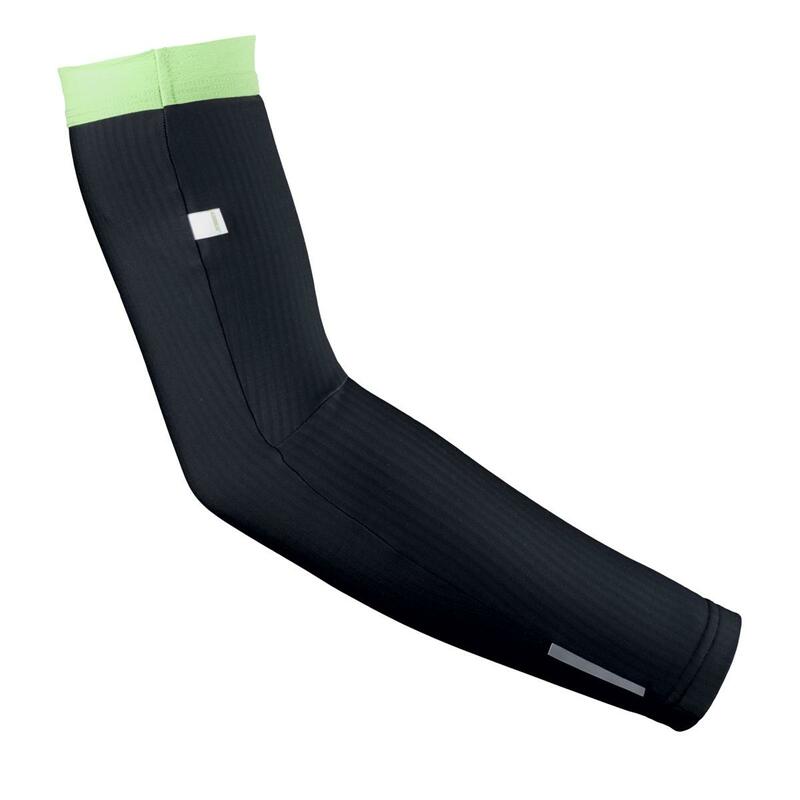 Constructed entirely from a ribbed polyester-polyamide fleece material, with excellent thermal characteristics and is extremely soft and flexible for comfort. They've been constructed with polyester on the inner face for the best wicking of moisture and polyamide on the outside for a more dense and durable surface. Fit is extremely ergonomic thanks to the multi-paneled 'pre-shape' cut. Both the top and bottom of the arm warmers are finished without silicone grippers, employing in their place the same treated polyamide-elastane gripper used in the Salopette L1 Essential. This gives a high level of grip without adding unwanted bulk.